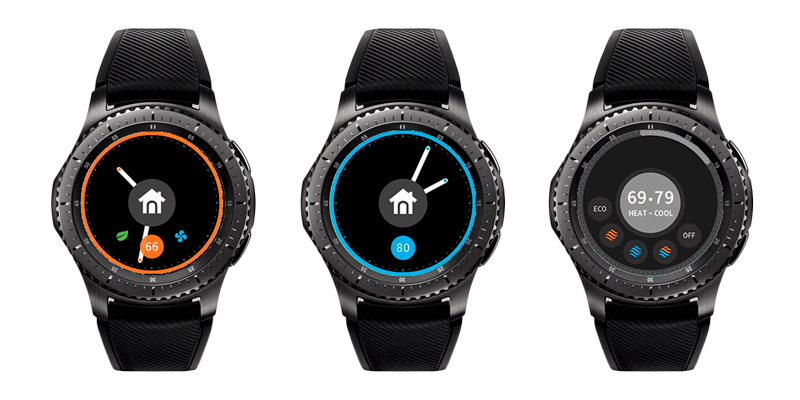 Ready to get the most out the Samsung Gear S3? 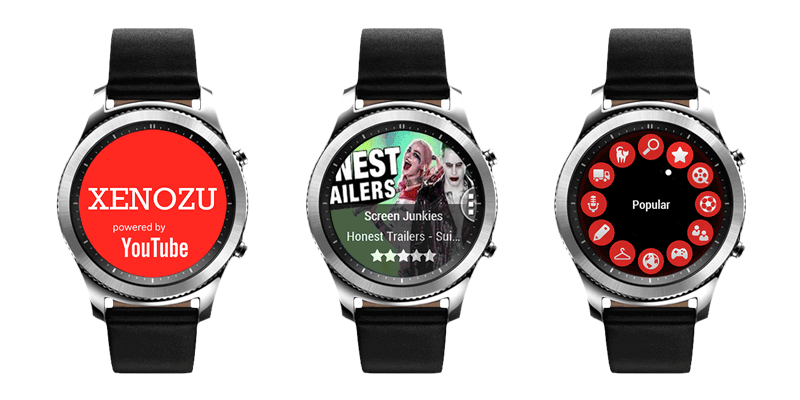 Good news: there are plenty of cool apps that can enhance your smartwatch experience on the stylish smartwatch. And since the latest version of Samsung’s device sports a slightly larger and brighter 1.3 inch display, apps are easier to use and look beautiful. 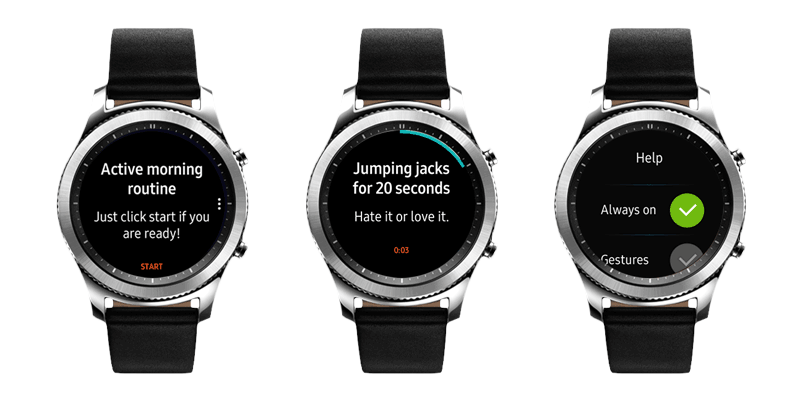 Here are a few standouts you should download for Samsung’s latest smartwatch. 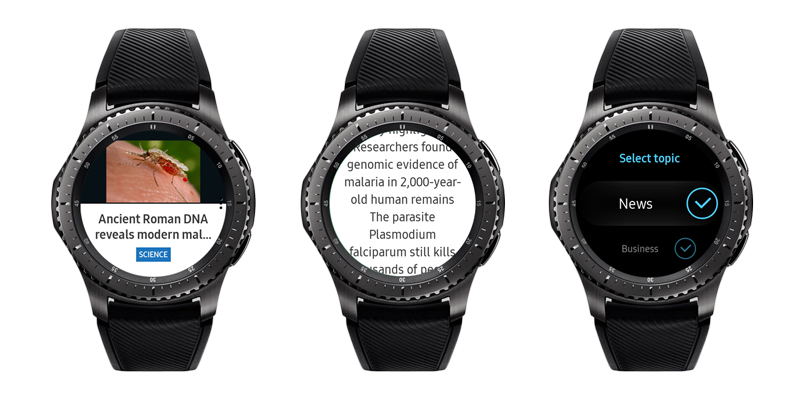 Getting your news fix through your smartwatch sounds gimmicky. But the Samsung Gear S3 Flipboard app makes catching up on the world during your down time surprisingly convenient. First, you set the news categories that you’re interested in (such as “business,” “science,” and “entertainment”). Then it automatically pulls stories from a wide variety of news sources. See a story that interests you? You can read the intro paragraph on your watch and then take it to your phone in order to read the rest. Samsung sometimes takes flak because their preloaded software doesn't quite rise to the level of their devices. But the S Health on the Gear S3 is surprisingly robust. It includes all of the basic fitness tracking features, such as heart monitoring, step tracking, and even an easy, one-touch way to track how many glasses of water or cups of coffee you drink through the day. But it also includes a comprehensive fitness tracking feature, which tracks activities like running, cycling, and yoga. The running feature includes a guide to help you set the pace of your workouts. Run too quickly or too slowly over a set workout, and the watch gently reminds you to either step on the gas or put on the brakes. The goal is to gently guide you toward faster paces week after week. The included stats aren’t as comprehensive as those offered by Garmin, but they’re enough for most weekend athletes. I’m not going to lie, this Youtube viewing app barely made the cut for this list. Watching movie trailers and social media celebrities on your wrist straddles the line between “cool because it’s useful” and “cool because it’s strange and new to watch videos on your wrist.” But watching what’s trending on Youtube is a nice way to kill time when I don’t feel like pulling my phone. Squishing a genuinely entertaining game to the size of a watch screen is clearly difficult. The proof is in the sheer volume of games that aren’t worth playing for more than a minute or two in the app store. Rolling Hams, a totally free game, stands out above the rest. 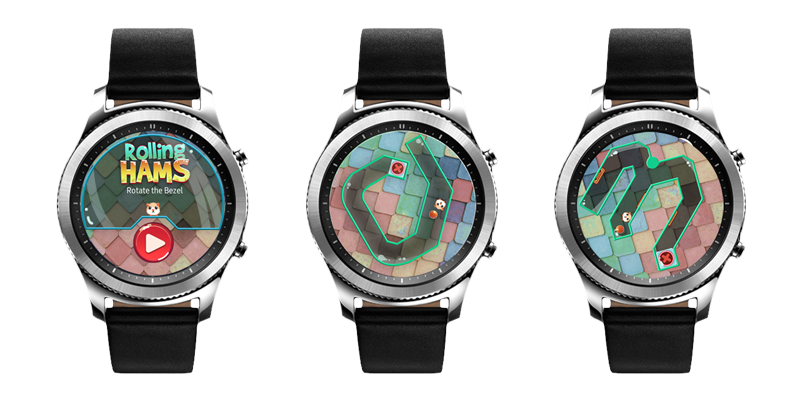 You guide a pig through a puzzle by turning the Samsung Gear S3’s bezel. It’s more challenging that it sounds. You’ll spend an embarrassing amount of time trying to solve the more difficult levels, which require you to dodge obstacles and twist the bezel with near-surgical precision. This one is perfect for anyone is hoping to start (and keep) their New Year’s Resolutions. The GuruWear PRO helps you stay on track by reminding you of the next step in your routine, so you can get going faster. Once you get in the habit of doing it, it feels like programming your life. This is a fairly simple single-function app. But if you one of the many people who have a poor sense of geography in a sprawling parking lot, it can be a real time saver. 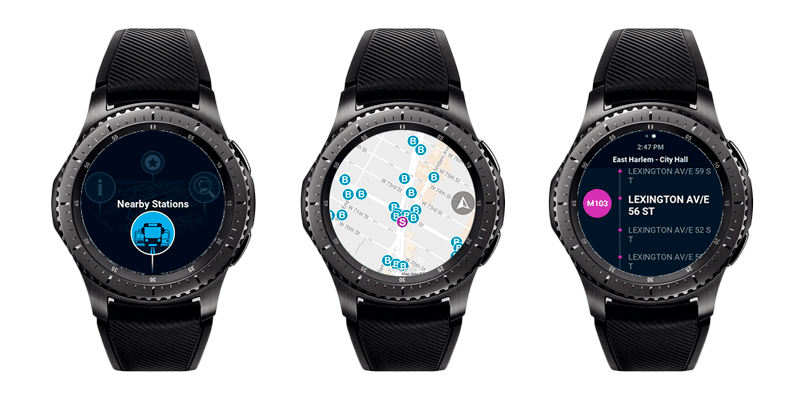 When you hop out of your car, just set your location with the Samsung Gear S3’s GPS sensor. When you’re ready to come back, the app tells you exactly where you have to go. That means no more walking up and down the parking lot aisles while frantically pressing your key fob in hopes that you hear your car beep. Samsung Fit includes a sleep tracker, but the data is somewhat limited. If you’re dedicated to better understanding and improving your sleep habits, check out G’Night Sleep Smart. 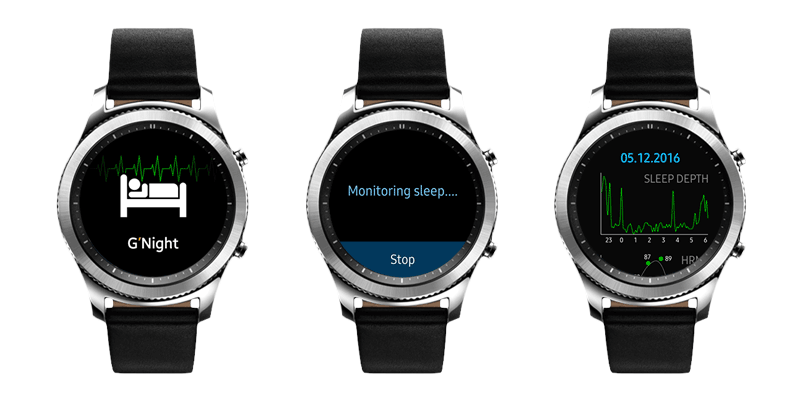 The app combines statistical sleep data with physiological data, which is gathered from the Samsung Gear S3’s sensors, to help monitor and improve your sleep. It tracks how many times you drift into REM sleep, the deepest, most refreshing kind of shut-eye. You can actually tell it to wake you up after a certain number of REM cycles. Alternatively, you can tell G’Night Sleep Smart the latest time that you can wake up. By monitoring your cycles, it awakens you when you’re outside of a REM cycle, so you wake up feeling more refreshed. 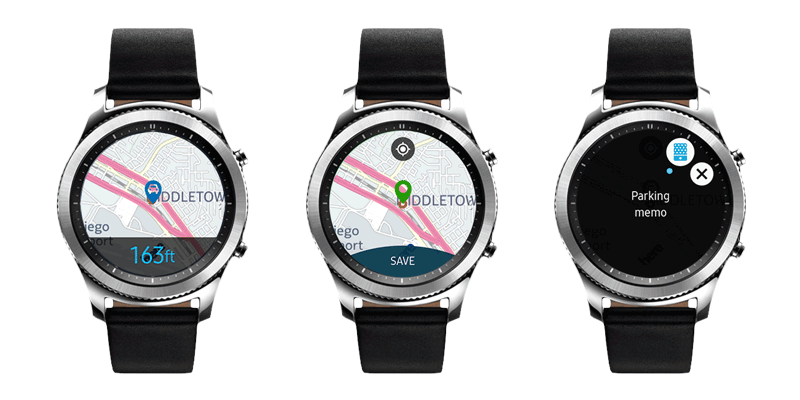 One of the main reasons you buy a smartwatch is for that “the future has arrived” feeling. 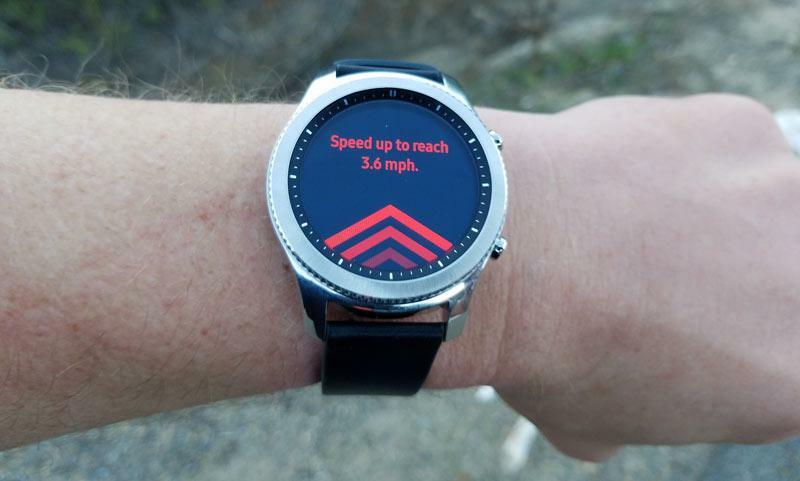 One of the best ways to experience that is by tapping your wrist and having a car appear in minutes, ready to take you to wherever you want to go. For people who already have the Uber ride-sharing app on their phone, it’s not groundbreaking. But the sheer convenience of going from thinking “I need a ride” to ordering an Uber within a three second time span makes you feel like owning your own hoverboard is right around the corner. 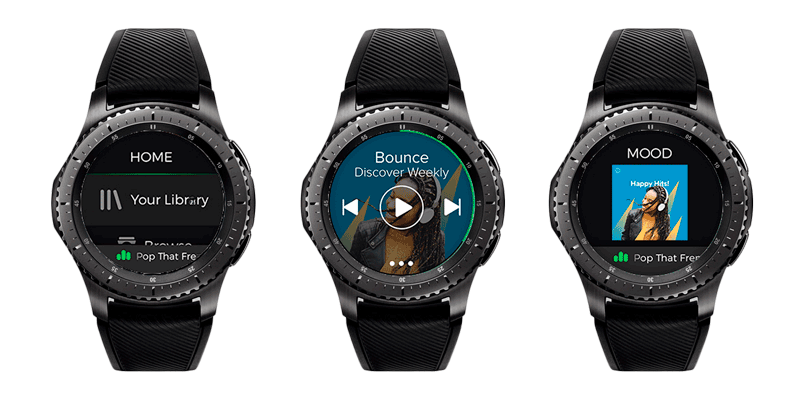 Phoneless streaming music is finally available for the Gear S3. 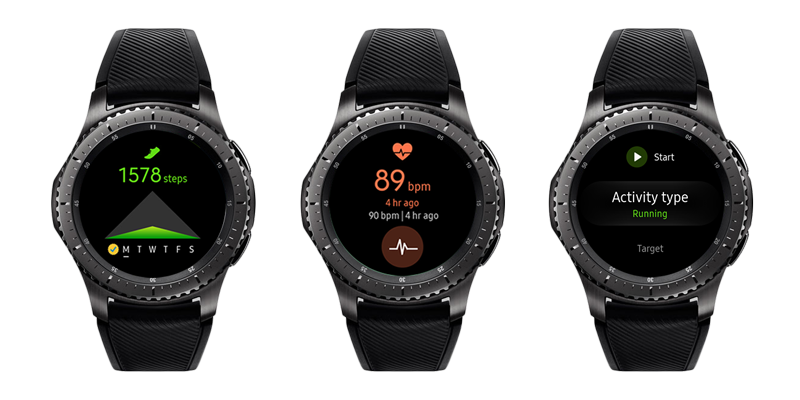 Spotify is the most popular way to listen to music, and thanks to the Gear S3 app, users can jam out when their watch is connected via WiFi or LTE. The app also allows you to scroll through tracks, check out your playlists, and browse charts right on your wrist. If you have a BMU and BMW ConnectedDrive, then the BMW Connected Samsung Gear S3 App is a guaranteed way to impress your friends. 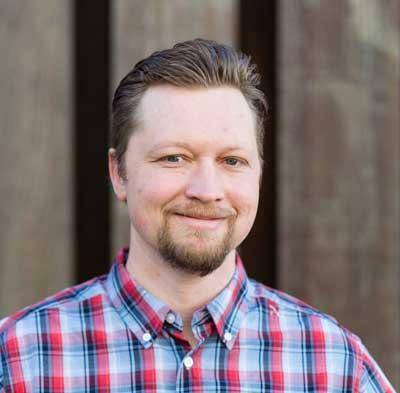 After you download the app, you’ll be able to take advantage of several ConnectedDrive features, including the ability to lock your doors, check your fuel gauge, and review the route for your next trip. If you use the Nest Learning Thermostat, you can make your smart home a little smarter thanks to Gear For Nest. The app allows you to check your place’s temperature and instantly change the Nest’s setting to “home” or “away.” The best part? You can use the Gear S3’s rotating bezels to adjust the temperature. For New Yorkers who want to be a master of the public transportation system, the NYC Transit app for the Samsung Gear S3 is a must have. You can review schedules for the bus and subway, find your nearest station, get information about transit delays, and get alerts to remind you to leave home in order to catch your ride in time. 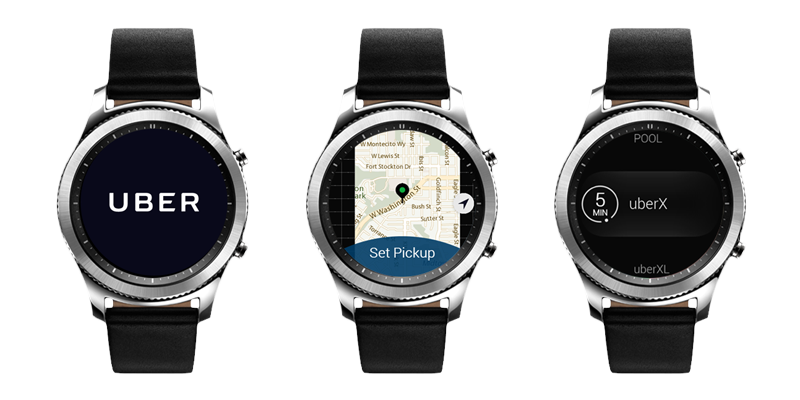 One of the main reasons you buy a smartwatch is for that “the future has arrived” feeling.